Although packaged software can provide a very cost-effective solution for common business processes such as e-mail and accounts, there are situations where it is simply not up to the task. Typically, where your business has unique processes that give it a competitive edge, these cannot be automated by using packaged software. In these circumstances bespoke development is required to ensure that the software fits your business needs, rather than the other way round. Developing an application can be a daunting and expensive task, unless it is approached in the right way. 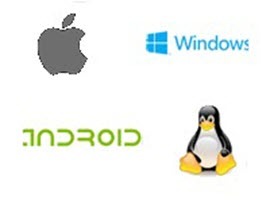 OfficeCraft have been providing bespoke IT development solutions for nearly 20 years. We have extensive expertise in developing and supporting applications in Delphi. Delphi is a highly productive development environment for software and database applications as it enables the rapid delivery of high performance and easy to maintain applications. As well as developing applications from scratch we are able to enhance and update your existing Delphi applications to cope with changed circumstances. We can either work with your development team, or where you do not have any such resource, independently. In addition to our skills and experience in Delphi, we can also develop applications using Microsoft .NET technologies. Whatever your development requirement, please contact us to find out how we can help.